Buying Real Estate in Myrtle Beach? Whether you’re a First Time Homebuyer or experienced Investor, Plantation Realty Group has all the resources necessary to assure you find the best property for the best possible price. 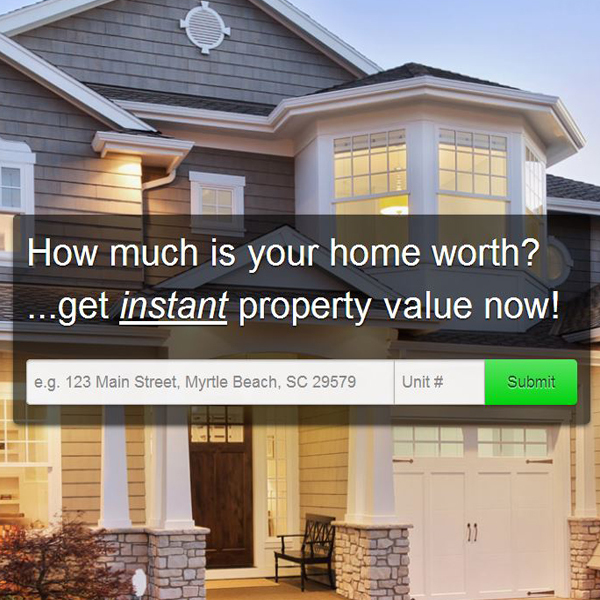 For help with finding real estate in Myrtle Beach, please use our Advanced MLS Search or call 843-796-2111 today! Q: I’ve got excellent credit, why do I need to get pre-approved? A: You may know you have excellent credit, but the Seller doesn’t. You probably wouldn’t want someone looking at your home if they hadn’t spoken with a lender, and neither do the home seller’s here. With the stricter lending guidelines nowadays, it’s always best to speak with a lender before searching for a home. You’ll have a much better idea of what will and won’t fit in your budget, and save yourself time in the long run. Q: Why do I need a Buyer’s Agent? I just want to look around on my own…. A: You can spend countless hours calling multiple agents on signs, websites, or print media only to find out the home’s no longer on the market, under contract, or out of your price range. A Realtor that’s working as your Buyer’s Agent can do the same search quickly, and provide you with homes that you might not have thought of. A full-time Realtor might even know of opportunities that exist before they hit the MLS, giving you the edge over other buyers. Q: Do I have to pay you as a Buyer’s Agent? A: It depends on the firm you’re working with. Buyer’s Agency is set up different ways with different companies, although there is a state form that many brokerages use. Our Buyer’s Agency Agreement is set up that we receive our commission based on the Listing Agreement with the Seller and the Listing Broker, and we’re paid based on the commission noted in the MLS or as otherwise agreed upon. Only if we work for you as your Buyer’s Agent, and you purchase from another Realtor or buy a FSBO, would our commission then be owed by you. Q: Won’t I save money without a Buyer’s Agent since they won’t have to pay you? A: Again, most are set up where the buyer’s agent’s commission is received from the sale of the property. It’s part of the Listing Agreement that is made between the Seller and the Listing Agent, and outlines what the Buyer’s Agent is owed. If there’s no Buyer’s Agent, the Listing Agent will receive the total commission and will only act representing the Seller, or as a “facilitator” in the transaction, acting as a Dual Agent. Either way the Seller will be paying commission and, without a Buyer’s Agent, are you really going to be sure you got the “deal” you thought you were getting? An educated Buyer’s Agent will provide you with recent comparable sales, and go over those figures with you to help get you the best deal possible. Q: My friend from up North said he bought a $500k home in Myrtle Beach for $300k….I want a similar deal, so show me all the homes listed at $500k that you think I can get for $300k. A: OK, not really a question and the numbers change based on the buyer, but we hear this all the time. What your friend didn’t tell you was the home was worth $500k back in 2006, it was listed as a foreclosure for $275k, and there were multiple offers and he paid $300k. Again, the numbers change around based on the property, but when you hear the stories that are “too good to be true” they probably are. Homes in Myrtle Beach typically sell for 93-97% of list price. Even with foreclosures! For example, from Jan 2011 until Sept 2011, 38% of detached home foreclosures in Carolina Forest sold for full listing price or higher. Out of all the single family foreclosures that sold during that same time frame, they sold on average for 97% of their list price. Your Buyer’s Agent is a great resource for determining whether or not the list price on a prospective home is “in the ballpark”, underpriced or overpriced. Another great reason to work with just one Realtor!